I am currently working as a Trade Facilitation Specialist on a World Bank project in Lao PDR, where I am supporting the government in implementing the Five-year Trade Facilitation Road Map that I helped in developing recently. I have over 25 years of extensive experience in customs reforms, trade facilitation, enforcement and project management. Earlier during 2008-16, I worked with the United Nations in Afghanistan supporting customs reforms and trade facilitation. This included my successful stint as a Project Manager & Chief Technical Advisor of a multi-dimensional project of World Bank on customs reform and trade facilitation. The project involved regional integration, trade facilitation, customs automation, improvement of customs infrastructure & processes and organizational development. 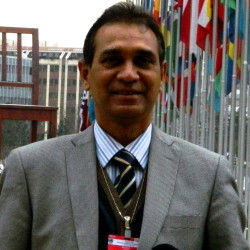 Earlier, I worked in Indian Customs Service for over 20 years in senior and middle management positions, where I played a significant role in implementing various reform initiatives at major ports, airport and container depots, along with the requisite change management and organizational development.. I successfully managed the largest Government Opium & Alkaloid Factory as its CEO and also implemented its modernization project during 2002-2004. I have been instrumental in drafting and negotiation of bilateral Customs cooperation agreements and steered signing of agreement between Afghan Customs & UNEP on Montreal Protocol on Ozone depleting substances.